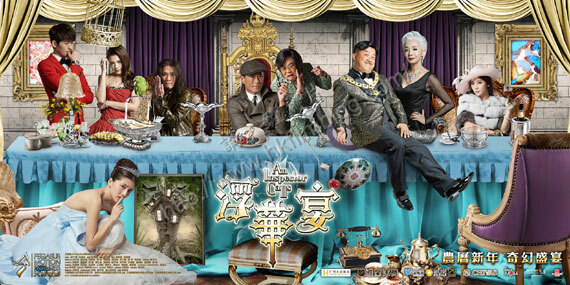 This adaptation of the classic JB Priestley play by Hong Kong directors Raymond Wong (黄百鸣) and Herman Yau (邱礼涛) provides a modern Chinese setting and fresh take on Priestley’s exploration of capitalist exploitation and class discrimination. Among the most striking things about this film are the set design and visual effects, which give a bizarre and dream like quality that you would more likely expect to see in an adaptation of Alice in Wonderland. At times it seems reminiscent of movies by Tim Burton. This is combined with over the top acting that gives a strong element of humour without making it an outright comedy. For those not familiar with the original, the story is centred on a police detective investigating the suicide of a girl who formerly worked in the factory of a wealthy capitalist. Upon visiting the family it is revealed, one by one, that each member of the family had a hand in pushing the girl to suicide. Although Priestley’s play was written in the 1940s his themes of class discrimination and economic inequality are particularly relevant in China today. This makes the movie a must watch for those interested in Chinese society, and allows language learners to pick up some useful vocabulary items for discussing these issues. For native English speakers familiar with the play this film version differs enough to make it worth watching but also stays close enough to make following the plot possible even if you don’t catch all the dialogue. At times the over the top acting and the actors’ comedic voices could make this a listening challenge for some, although the subject matter and vocabulary are not in themselves particularly difficult. Unfortunately the surreal and comedic slant given to this movie somewhat dilute the criticism of capitalist society, which is probably why the movie hasn’t been blocked by the censors. Just one final word of warning; this is a Cantonese movie and so Mandarin learners will of course want to make sure they watch the Mandarin version. As with many movies, the name is different for the Hong Kong, Taiwanese and mainland Chinese versions. Fú huá yàn 浮华宴 is the Hong Kong Cantonese version. The mainland Chinese and Taiwanese versions are called shén tàn jià dào 神探驾到 shén tàn dào fǎng 神探到访 respectively. 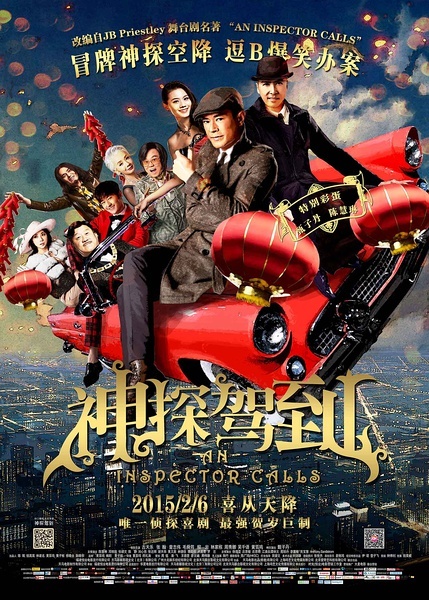 This entry was posted in movie of the month and tagged an inspector calls, chinese movies, fu hua yan, shen tan dao jia, shen tan jia dao. Bookmark the permalink.